O fi vreo Dacie la muzeu? - Do they have a Dacia in the museum? Cautam o Dacie la museu. Ne multumim cu un Renault 12 care este stramosul Berlinei. Sau macar Renault 8, stramosul Dacie Protected content . Biletul de intrare este 12 Euro. We're looking for a Dacia at the museum. We are happy to see a Renault 12 that is an ancestor of Dacia Protected content . 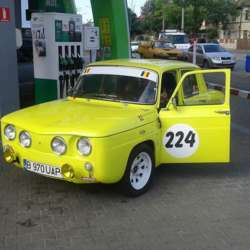 Or at least Renault 8, the precursor of Dacia Protected content . Entry tickets is 12 Euro.